The Chicago City Council approves the massive Lincoln Yards development with more than $2 billion in TIF funding as Mayor Rahm Emanuel holds his final City Council meeting. 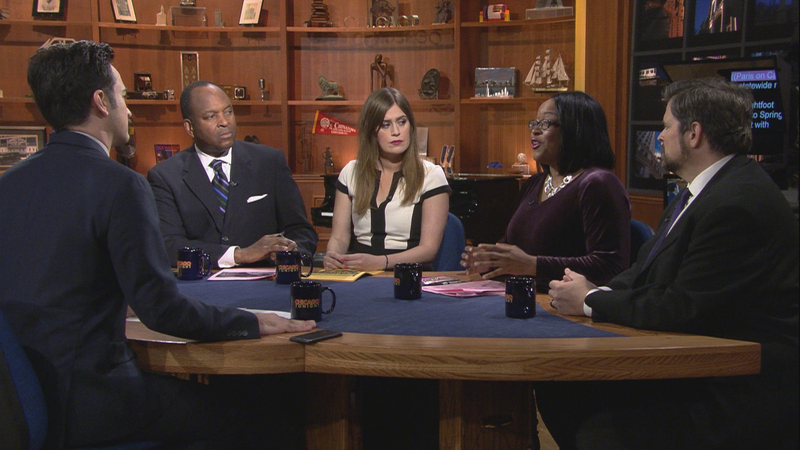 Some aldermen heap praise upon Emanuel, including those from South and West Side wards – but how do members of these communities view the outgoing mayor? In city-meets-state politics, Mayor-elect Lori Lightfoot visits Springfield to meet with Gov. J.B. Pritzker, whose graduated income tax plan cleared its first General Assembly hurdle this week. Meanwhile, Chicago’s office of the inspector general releases a report highlighting inefficiencies of the Chicago Police Department’s so-called gang database, which classifies more than 130,000 people, most of them black and brown, as gang-involved. In sports, baseball is looking somewhat bleak in Chicago as the Cubs and White Sox continue their slow starts. The conversation continues in our web-extra video. This week, Schutz and guests discuss state legislation, including the possible impact of a proposed bill that would require anyone buying a gun to provide fingerprints for identity verification purposes.